France’s highest court has approved a 75% tax on high income. 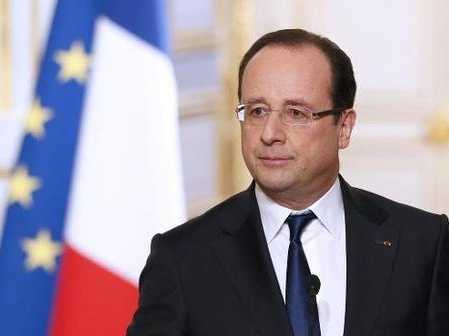 The new tax is one of President Francois Hollande’s signature policies. The initial proposal to tax individual incomes was ruled unconstitutional by the Constitutional Council almost exactly one year ago. But the government modified it to make employers liable for the 75% tax on salaries exceeding 1 million euros ($1.3 million). The levy will last two years, affecting income earned this year and in 2014. Football clubs in France went on strike earlier this year over the issue, saying many of France’s clubs are financially fragile and say the plans could spark an exodus of top players who are paid huge salaries. The Qatari-owned Paris Saint-Germain has more than 10 players whose pay exceeds 1 million euros, including the Swedish striker Zlatan Ibrahimovic. There has also been a chorus of protest from businesses and wealthy individuals who have condemned the tax – including actor Gerard Depardieu, who left the country in protest. Polls suggest a large majority in France back the temporary tax.